Prepare delicious steaks in this copper Natura grill pan that has a nonstick coating so that nothing sticks to the pan. This Ibili grill pan has a very neat look to easily adapt to your kitchen. It also dishwasher safe. 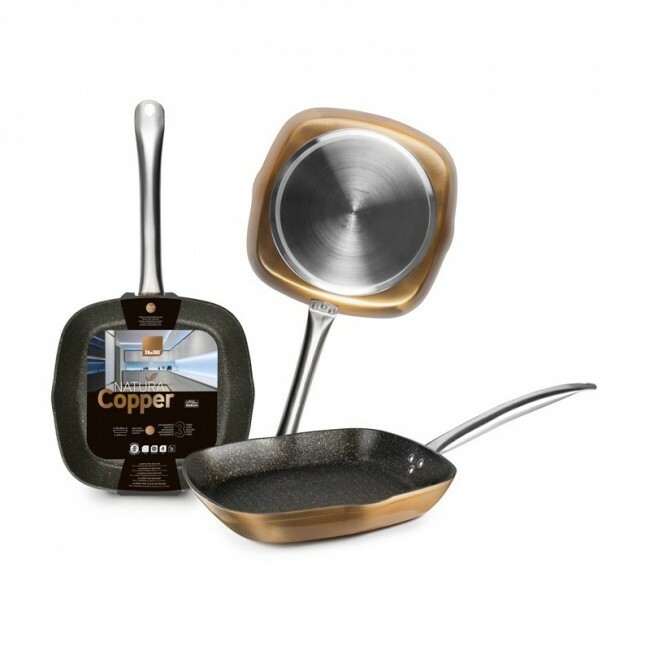 Prepare delicious steaks in this copper Natura grill pan that has a nonstick coating so that nothing sticks to the pan. This Ibili grill pan has a very neat look to easily adapt to your kitchen.